To say the Backstreet Boys are busy would be an understatement. Between rehearsing a 32-song set for their upcoming DNA world tour (that Nick can’t wait for you to see), preparing for the final set of shows of their Larger Than Life Las Vegas residency in April, and practicing to be a “backup quarterback” for the Bucs, Nick Carter is adding even more to his plate with the rest of the Boys in coming days and months. If you’re itching to see your Boys before they return to the Zappos Theater and you can make it to California, you’re in luck! Nick, Kevin, Howie, Brian and AJ are inviting a limited number of fans to share a night with them on April 8th as they share stories and answer questions at the Grammy Museum in L.A. ahead of their exhibit, Backstreet Boys: The Experience, opening. Fans will not only get to attend the event with the Boys but will also be granted first access into the exhibit, which will feature memorabilia, past wardrobe, photos and much more, and with a reception afterwards. All proceeds from ticket sales for this one-of-a-kind event go directly to benefit the music education initiative of the GRAMMY Museum! Get yours here. Can’t make it that night? The BSB experience will open to the public on April 10th and remain open until September 2nd! 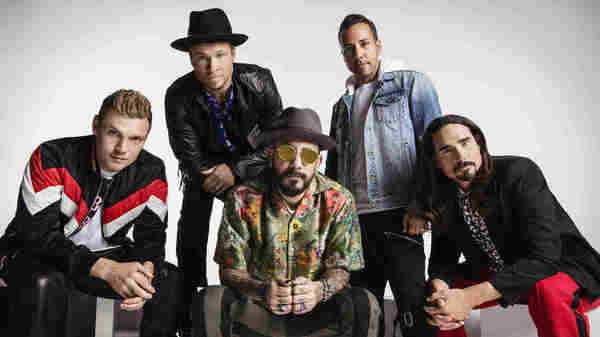 While you’re in town, make sure you request tickets to catch the Backstreet Boys performance on Jimmy Kimmel Live on April 9th, one night ahead of their return to the Vegas stage. If you can’t be there in person, the show will air on ABC at 11:35p EST / 10:35p CST. 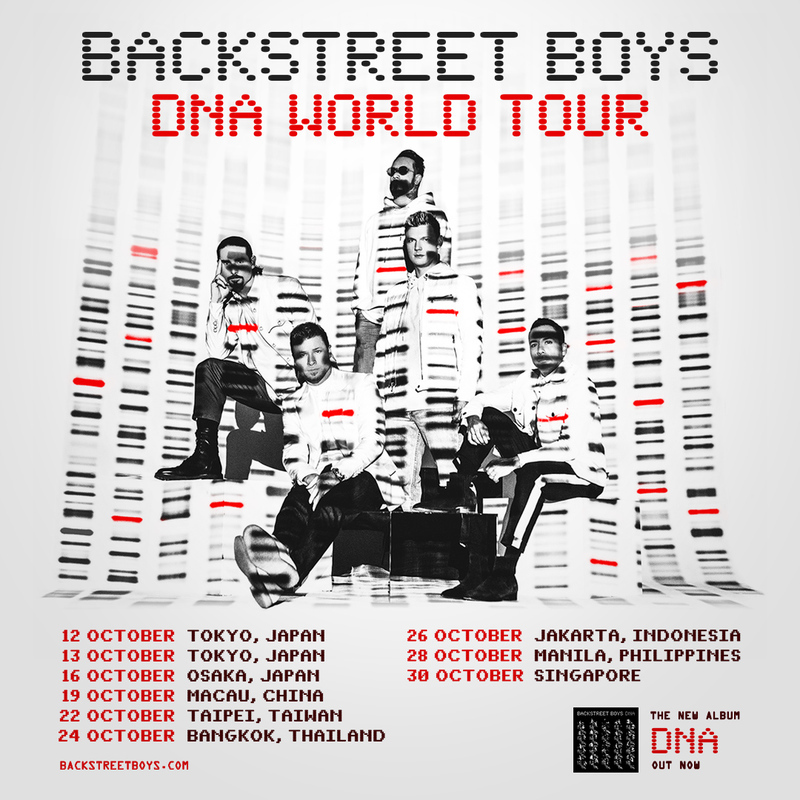 And last but certainly not least, more DNA tour dates have been announced, much to the delight of Backstreet fans in Japan and Southeast Asia! The group will be making their return to several countries in October and while presales have already begun for some cities through the BSB Japan Fan Club and the BSB Fan Club, on sale dates vary by city. Get all of the details here. If you need a Backstreet fix, your options are many and 2019 is off to a great start. The only hard part is deciding where to go and what to do next. Tell us where you’re headed in the comments! Thanks my wonderfull husband who surprised me on Christmas will See you for The 1st Time in Poland :) would love to get the back stage passes. I know you but he still doesn't haha ;) See you guys on June. Will be The loudest in H sector haha. Hey Nick, just wanted to say thank you sooooo much for making it back to Singapore!! I knew you won’t miss the city when the boys come to Asia (hahaha, yeah I’m confident) it still excites me to think I’ll get to see you again in 7 months!! I secured my VIP standing ticket and Meet & Greet. (Phew!) Am also planning to go to Macau, Bangkok and Jakarta shows as well...so yeah can’t wait to see you!! Hi Nick!! See you and the guys in birmingham,Alabama. 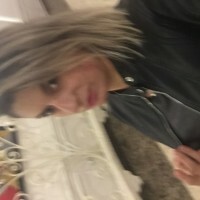 Love ya'll ??? 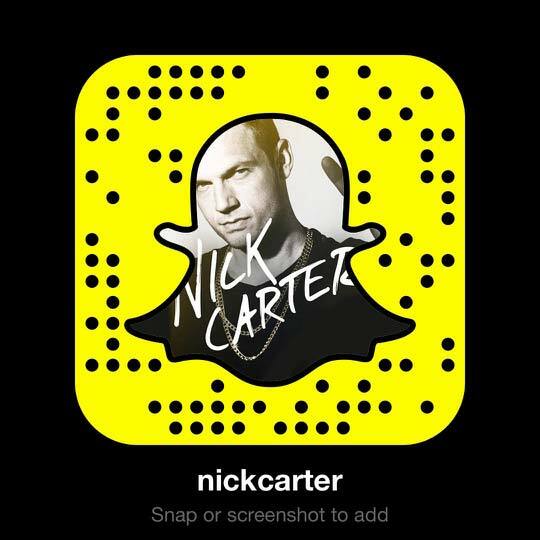 Hi nick see you in paris love you ???????? Vegas, Nashville, and Louisville! Can’t wait!